Dateh is NOT enjoying this outing one bit, no sir! Luckily, the girls have stronger stomachs. Hey guys! Do you like comics? Do you like comics you can hold in your hands? 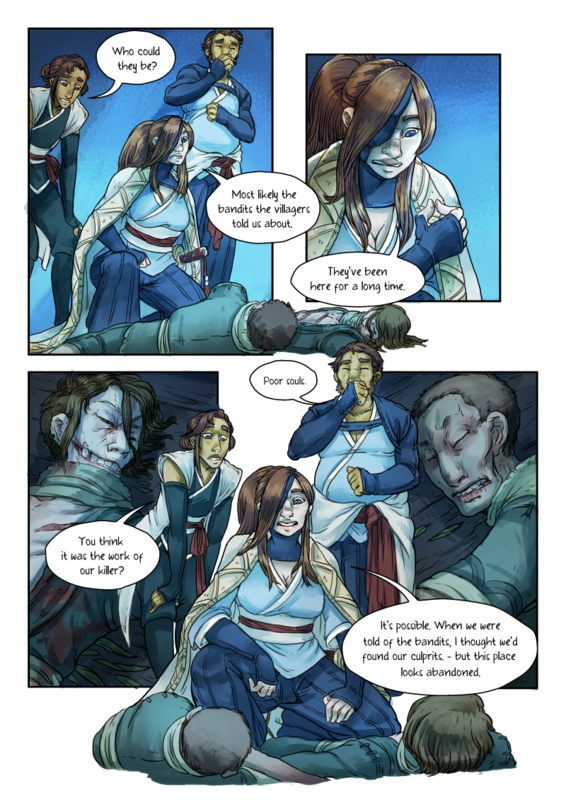 If so, you’re in luck, because the first volume of Grassblades – collecting chapters 1-3 – is now available on Tictail! And so is my Tea Witch-collection! If you want the Tea Witch-book, I recommend you nab one as soon as possible – I’ve only got 12 left in stock before I have to order a re-print, which is going to take a while! As always, you can support me on Patreon.